Comments: 2.5-3.0 inch, single white flowers with faint green tones on the upper petal arrive April into May. A strong grower with dark green, glossy leaves. 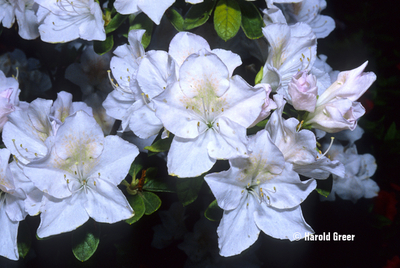 Rated by the Azalea Society of America as one of the top Glenn Dale hybrids.